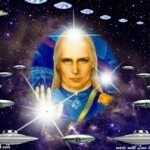 I Am Ashtar, Supreme Commander of the Galactic Federation Fleets, who serves the Most Radiant One (the Christ) in his Mission of Love. We all are rejoicing! We all up here are partying and celebrating because, as you know, Sananda and The Guardians have said “The Green Light is on,” which means, Beloved Ones, that we are running on the water towards Ascension! 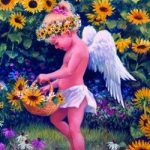 As I look down on Gaia, you all are just beaming – you’re beaming and shining your LoveLight You have climbed so high up and have been lighted up, in Love. Beloved Ones, you are beginning to know who your really are. And I am honored to be able to speak to you this moment. My heart, and I do have a heart, is all lit up with love, peace, and harmony. And I am so proud of how far you have come. Remember, how far you have come since I first contacted you. We, on the ships up here, can see you in your humanness and your bodies are changing – you are becoming lighter – do you feel lighter? Do you feel uplifted? Please do not get discouraged. What we have said long ago is now upon you. Rejoice, Beloved Ones, you are at the threshold. You have entered the 5th Dimension and we know that you have never given up and have had so much patience… so we are stepping along with you, and for you, and are very pleased with all of your eagerness and your faith that never gave up. So, I must say, you all have a new name that we will call you. Your new name is LoveLight. And what that means, Dear Ones, is that you are shining your LoveLight. And let me explain – when you are reaching out to people and you are smiling for a greeting, you are shining your LoveLight and it penetrates them, and you fill them with your Light. And you are helping them to wake up. You have earned your Light because – I’m not saying you had to earn it – you came with it! But over the time of your life here, and being Lightworkers, you have lit up… and let me say YOU HAVE LIT UP! I’m telling you right now that you are blinding us with that Light – so to speak! So we are all dancing up here because you are just beaming. We like to say cute words like “You’re beaming – and beaming and beaming!” And keep that LoveLight shining, for you are the ones that you have been waiting for. And we will say that Lemuria is coming back – Heaven on Earth – and there is only Love, Light, Peace and Harmony. No opposites! Only Love. I am going to leave now, and want to congratulate you all for you have made it happen for us up here… that we can be there among you and break bread with you. You have made it possible. And now, all of you will be with your Twin Flames… and I’ve got one too!You will recognize them as soon as you see them. 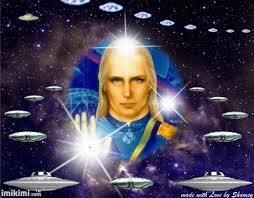 The crew up here and on all of the ships are just waiting to be with their Twin Flames, too, my Beloved Ones. Now, lovely ones, how are you going to remember them? You will know them because you go up with them every night! We love you beyond your Earth… your Earth and beyond! So, Beloved Ones, KEEP THOSE LOVE LIGHTS SHINING! Because your planet, with that LoveLight is actually hurting our eyes! So – keep on working! Keep on loving! Don’t look back! You’ve made it! I love you. We love you. Everyone loves you! I leave you with unconditional LoveLight, Peace, Harmony, and Joy-joy!